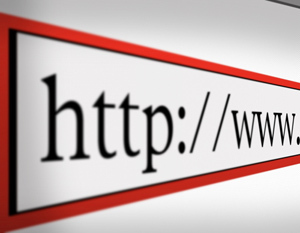 A lot of attention has been paid to methods and strategies for directing potential customers to business websites. Just as important, however, is keeping them on your site once they find it! “Bounce Rate” is a measure that reflects the percentage of time a viewer leaves your site before visiting any page other than the one they landed on. The higher your bounce rate, the less likely it is that your website is converting visitors to leads. So How Do I Keep My Website Visitors Engaged? Here are some tried and true strategies to engage your website visitors and turn them into customers. The navigation on your website should be crystal clear and easy to follow. Users shouldn’t have to wonder where they are or how to get to the next step. The easier it is for a person to navigate your site, the more likely they will click around, learn more about your business, and find that piece of information that makes the difference. Give your visitor something to do! From polls, to simple ‘click and view’ slideshows, to more advanced dynamic product comparisons and lists, incorporating interactive elements helps keep your website visitors engaged while also providing them with important information. As an expert in your field you have a lot to offer visitors to your site. Incorporate educational information, tools, and resources related to your business area. Offering useful information will engage visitors longer and keep them coming back. This is also a great way to project a positive customer service image of your business. The more often you update the information on your website, the better chance that repeat visitors will stick around long enough for your website to make a difference. Blogs, news, and tips are just a few things your can include to keep your content fresh. The best way to promote your products and services, and a great way to keep visitors on your site, is to provide samples, case studies, reviews, and testimonials. Visitors are looking for ways to make a judgment about your business and these elements provide the kind of information they need. This is also another way to incorporate interactive elements into your site. People online are interested in finding information quickly and efficiently. Use headers to grab attention, highlight important information, and use bullets and lists whenever possible. Cut out anything that is not essential and use clear language and short sentences. The faster a visitor can find information the more likely it is they will look at other pages on your site. Call ACF to Find Out More! At ACF we are experts in the design and development of websites that will be productive for your business 24 hours a day, 365 days a year. Call for a free consultation to find out more about how to improve the value of your web presence.